Chances are, you’ve taken some acetaminophen in the past week or so, though you may not have realised it. It’s in Tylenol, Sudafed, Nyquil, and scores of other drugs. Something else you may not realise: it’s really, really easy to take too much acetaminophen. In fact, Health Canada is considering lowering the maximum recommended amount of acetaminophen you should take daily. Why? As detailed in a Toronto Star investigation last year (run in conjunction with ProPublica), hundreds of Canadians have overdosed on acetaminophen, thousands have been hospitalised, and we’re looking at millions in taxpayer dollars on a preventable health problem. In 2013, ProPublica did a similar story with This American Life. If you have an hour, take a listen—this is the kind of investigative journalism the world needs. They found that there had been 1,500 deaths in America over the past decade thanks to acetaminophen overdoses. 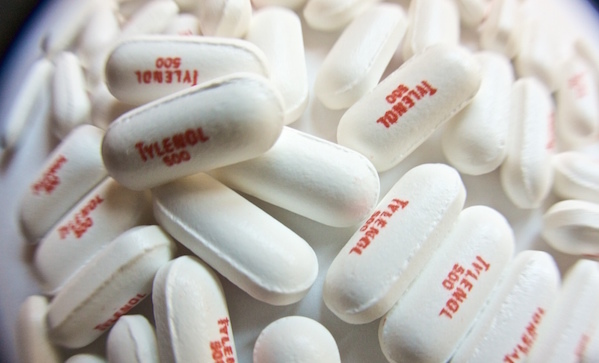 The saddest stories, though, came from parents of infants who’d overdosed, largely thanks to the fact that, at the time, infant Tylenol had counter intuitively more acetaminophen in it than children’s Tylenol. Read your medicine labels. Doesn’t matter if it’s an over the counter pill you’ve been taking since childhood. Read the label and treat the maximum dose as a rule, not a suggestion.